File photo dated 20/7/2015 of the Prince of Wales who will deliver BBC Radio 4's Thought For The Day this morning, the third time the heir to the throne has given the address. Prince Charles has warned against the rise of populist groups that persecute minority faiths, something he said has “deeply disturbing echoes of the dark days of the 1930s”. The heir to the throne was speaking on Radio 4’s ‘Thought of the Day’ segment on Thursday morning and addressed the increase of anti-refugee sentiment in Britain and the wider world. He said: “We are now seeing the rise of many populist groups across the world that are increasingly aggressive to those who adhere to a minority faith. All of this has deeply disturbing echoes of the dark days of the 1930s. “My parents’ generation fought and died in a battle against intolerance, monstrous extremism and inhuman attempts to exterminate the Jewish population of Europe. “That nearly 70 years later we should still be seeing such evil persecution is to me beyond all belief. The Prince of Wales pulls a Christmas cracker with Barbara Stacey during a visit to the Sue Ryder Leckhampton Court Hospice near to Cheltenham in Gloucestershire. Although he did not mention any politicians and groups by name, some including Deputy Editor of the Guardian, Paul Johnson, saw the speech as a veiled reference to the election of Donald Trump and the rise of far-right groups across Europe. Presumably we'll get a tweet from Donald Trump attacking Prince Charles by the end of the day. The Prince went on to urge people to remember the Nativity story “unfolds with the fleeing of the holy family to escape violent persecution”, saying Jesus and Muhammad would both be considered refugees today. He added: “We might also remember that when the prophet Muhammad migrated from Mecca to Medina, he did so because he too was seeking the freedom for himself and his followers to worship. 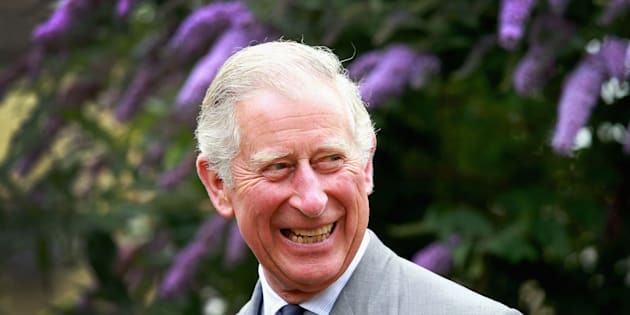 Charles pre-recorded his message, which was a few minutes long, on Monday at his official London home Clarence House. Thought For The Day is featured on Today, BBC Radio 4’s flagship current affairs and news programme, and has a religious theme and reflects a wide range of faiths. The heir to the throne delivered Thought For The Day in May 1995 to mark the 50th anniversary of VE Day and he gave the radio broadcast again in January 2000 at the start of the new millennium.